Goodbye Festival Season… my top 10 moments of Summer 2017! It has been another great festival season. I did ten in total this summer, so actually couple less than usual! I worked on the PR and marketing teams for two, had a stall at three and was lucky enough to go as a guest to another five… I had some sad camera malfunctions over a solid month of my summer so some festivals haven’t been covered for the blog – but there are still plenty of posts to come! See which festivals I hit up this year in my ‘Essential Festivals Summer 2017 Guide’. 1 ○ Saying goodbye to Secret Garden Party! I wrote a post about what you should do at the Last Ever Secret Garden Party it before I went… some photos from that mad weekend are coming soon… all the moments I couldn’t get photos of were probably better though! 2 ○ Shambala with the Fashpack was glorious, maybe even the best yet… the sunniest, sparkliest weekend in Cloud Cuckoo Land ever. 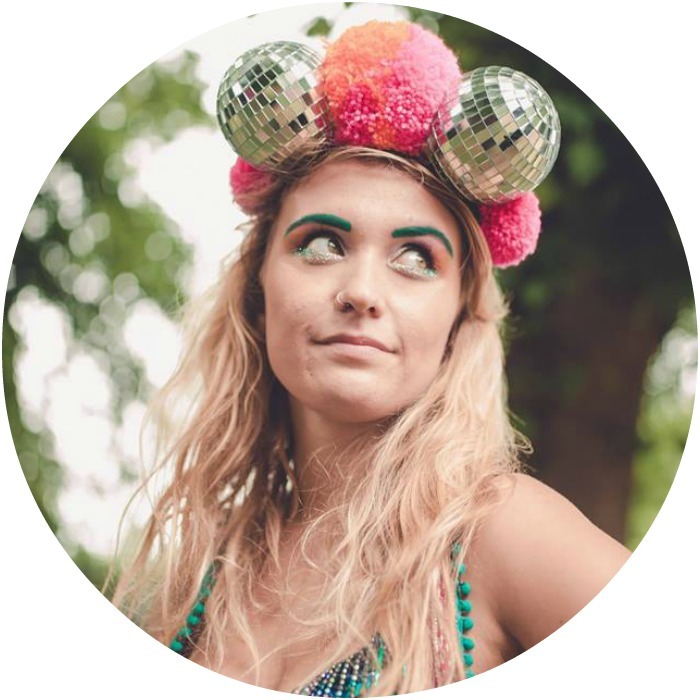 3 ○ Painting and sparkling up all of the faces with The Fashpack at Love Saves the Day, Shambala & Bestival. 4 ○ Not working at Glastonbury for the first time in aaaages was pretty special – it’s not gonna be on next summer so who knows what’s on the cards?! 6 ○ Mum & Dad fest… I went to three festivals with my parents this year!? Glastonbury & Wonder Fields with both of them and just my mum to Port Eliot. My mum even had a festival themed birthday party a couple of weekends ago – that sort of counts right? 9 ○ Battling the conditions for a surprisingly marvellous & colourful Bestival! 10 ○ Dulcie’s Feathers on tour! My clothes went to more festivals than me this summer and were sold on my friends’ stalls at Noisily, Leopalooza and Wilderness to name but a few.